New Delhi, 28 December (Jadid Khabar): Some newspapers have reported with prominence that Jamaiat-ul-Ulema (M)’s General Secretary Maulana Mahmood Madani, during his recent Ahmadabad visit went around by a bulletproof car that is only used by Narendra Modi. We have no means and resources to confirm or contradict the veracity of this news except an item published by Hindi daily Dainik Bhaskar. This news item gives the impression that Maulana Mahmood Madani has an affinity with Modi. One can guess [the extent of it] from the fact that last Thursday when he reached Ahmedabad special arrangements were made to take him from the airport to Khadi Gram Udyog Bhawan by Modi’s special bullet proof car and was hosted as an official guest. Newspapers that have carried this news have told only half-truth because it is not only Mahmood Madani but his uncle and President of Jamiat-ul-Ulema (A)’s President Arshad Madani is not behind in enjoying favours and concessions bestowed upon him these days by the Samajwadi’s UP government. Whenever Maulana Arshad Madani visits Lucknow he is honoured with the status of a state guest with police vehicles blaring siren along [his caravan]. The basis of this is not hearsay but I have witnessed it myself in Lucknow where I had gone to attend the launch of a book on late Maulana Manzoor Naumani. 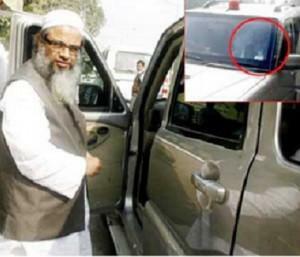 When Maulana Arshad Madani arrived suddenly the sirens of the vehicles with beacons on them started roaring and everyone present there got the impression that some minister had arrived. But [lo and behold] the commander-in-chief of this caravan was [none other than] Maulana Arshad Madani. 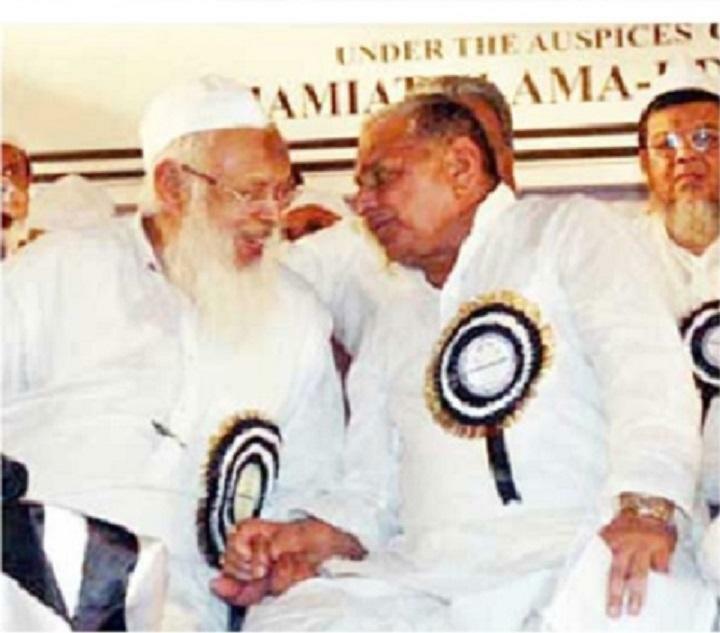 Maulana Arshad Madani’s closeness with Mulayam Singh Yadav is not a secret. This is the reason that recently some of his well-wishers spread the rumour that Mulayam Singh had wanted to make him or his younger brother Maulana Asjad Madani a member of the Rajaya Sabha but Maulana Arshad Madani himself not only contradicted this and ridiculed his well-wishers as well. Noteworthy aspect of all this is that in the wake of Muzaffarnagar’s anti-Muslim riots some newspapers had carried the news that he had taken some ulema from western UP to Lucknow by special official plane and they were treated as state guests. After Muzaffarnagar’s riot perhaps no one has helped Mulayam Singh as much as Maulana Arshad Madani. So deep has reached Arshad Madani’s proximity with Mulayam Singh that his critics accuse him of serving as Mulayam Singh’s shield and that he has defended in every possible manner the inefficiency of UP government in handling Muzaffarnagar riots and its bad treatment with riot-affected refugees in relief camps. Recently when Mulayam Singh called the riot victims sheltering in relief camps as the agents of Congress and BJ, Arshad Madani did not express any reaction. Even on the outrageous bulldozing of relief camps also he did not utter a single word. The fact of the matter is that we have no animosity towards Maulana Mahmood Madani nor do we have any ill feelings for Maulana Arshad Madani. We are friends with both of them but we have never committed the blunder of becoming a silly-friend. Both leaders are valuable assets of the community and both come from a family scholars thereof had never succumbed to accepting official favours and always preached their community to lead simple and austere life so that the strength of self-restraint and perseverance could be developed. Following their teachings the community is still practicing abstinence. If these leader-scholars are benefitting from official favours today then surely there must be some expedience or compulsion.